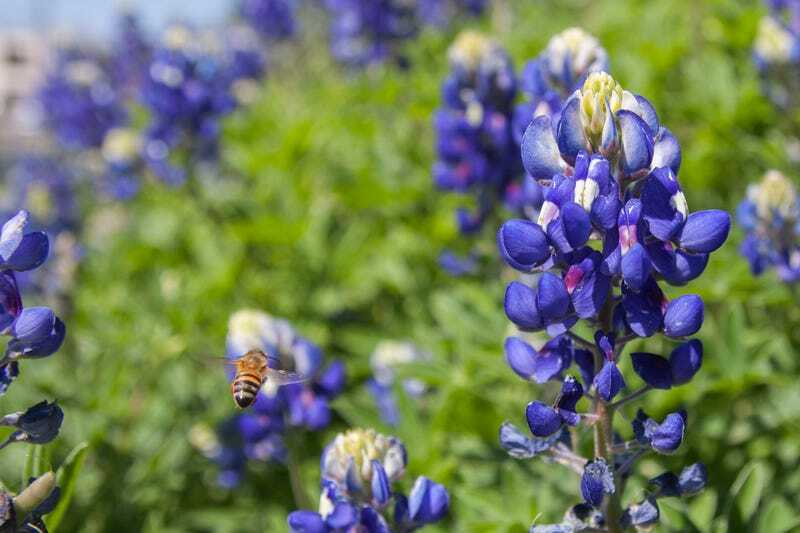 We took a drive out into the TX Hill Country on Monday to see the bluebonnets. As you head west from Austin on TX 29, the road passes below Buchanan Dam (pronounced “buh-canon” for some reason), and a new modern concrete bridge bypasses the original two-lane trestle bridge, which was preserved. Now you can park and walk out across the old bridge, and somebody hung a big swing from one of the cross beams. And no trip to the Hill Country would be complete without a stop at the Blue Bonnet Cafe in Marble Falls, home of great food and Texas-sized pies. The ladies who sling the hash in the kitchen are amazing, and though the line goes out the door the wait isn’t long. But if you go, be sure to take cash or a checkbook, because they won’t take your credit card.